When people think of Corey Yuen, their thoughts turn to two things: Jet Li’s partner in crime and the person in question when text is tattooed across a DVD cover shouting, “From the Director of The Transporter.“ For me, Yuen is probably just as important as Tsui Hark for getting Hong Kong films up to American production standards. Where Tsui Hark was importing Hollywood visual effects artists for Xu Warriors From the Magic Mountain or producing films for up and coming directors, I feel Corey Yuen always had an international audience in mind and was doing it in his own way. Need proof? Corey Yuen was the first New Wave Hong Kong directors to make an American production via the (Fist of B-list favourite) No Retreat, No Surrender, a film that just missed being a big hit by premiering at 11th place in the American box office when released. But hey! It still beat John Woo to the punch for directing in the United States. Corey Yuen’s second film as director was the multi-titled Yes, Madam!, which was the debut film of white American Cynthia Rothrock. Rothrock’s role was probably producer Sammo Hung’s idea, but they still had the lone white American who could showcase her martial arts chops well enough for her stand out as being a token white girl in these types of films. People still talk about Rothrock today, right? In the same year as No Retreat, Corey Yuen starting working on what would be one of his most memorable Hong Kong Films: Righting Wrongs. For this film, my theory is that Yuen was reaching out to an American audience. Yuen not only got Rothrock front and center again, but there’s also Canadian kick boxer Peter “Sugarfoot” Cunningham who Yuen worked with on No Retreat as well as stunt actress Karen Sheperd who Rothrock gets in a fancy foot chase with. Of course, the film’s real star is Yuen Biao, but even with him as the star, the film still has more ties to American productions. Biao has even stated that Righting Wrongs’ production was planned early on, allowing for less of the “make-it-up-as-we-go” spirit of other Hong Kong action films of the era. It’s far less scattered than Yes, Madam! and this planning is evident. Righting Wrongs also is a big change from Yuen’s previous Hong Kong production Yes, Madam!, as it’s nearly free of the “wacky” Hong Kong comedy that takes up a lot of Yes, Madam!’s running time. Even the film’s villain, played by Melvin Wong, acts without the usual scenery- chewing habits of other pulpy baddies, thus marking his character more realistic and memorable. In comparison to Yuen’s previous films and other Hong Kong films of the era, the story is played far more straight, which I believe was done as Yuen had a foreign audience in mind. 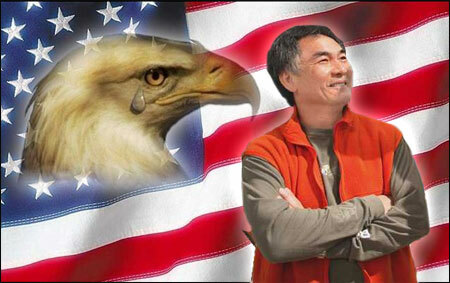 Clearly, Corey Yuen was Hong Kong’s flag-waving all American patriot. That’s probably an overstatement, but the American influences are hard to miss and it’s still one of his better films Yuen has directed in America or Hong Kong. Righting Wrongs succeeds due to its successful action scenes, which are a huge step-up from what appears in No Retreat, No Surrender and Yes, Madam! in their intensity and creativity. I was entertained enough to forgive the occasional rusty editing. Take this car park battle with Yuen Biao. The audience I watched it with got some giggles when the car impossibly gets some air time when it leaps out one of the car park windows, but after witnessing the mayhem, the car could have sprouted wings and flew off and I wouldn’t have so much as batted an eye. I like how he shaved his legs. That’s stuntman commitment. So what’s holding this film back from being known as well as something like The Legend of Fong Sai Yuk? It’s had a weird life on home video with multiple titles and the current Hong Kong Blu-ray’s subtitles are a complete mess, making it’s plot frustrating to follow. The film’s plot isn’t helped by a side-story involving Wu Ma which doesn’t effect the main plot significantly or compliment the action scenes in any way. Worst of all, like Yes, Madam! previously, it has a needless bummer of an ending involving the death of pretty much every likable character in the film. Who screwed that up? Barry Wong is credited as the screenwriter for both of these two Corey Yuen films, so is he the culprit? Or did someone’s contract demand “no sequel” and decided everyone should die? Who knows! I doubt there will ever be any serious critical analysis of Righting Wrongs released written, nor will it receive a 30th Anniversary re-release anytime soon, so my questions will probably remain unanswered. However, it’s a film that is very easy to recommend to fans of Rothrock, Corey Yuen, and of course, Yuen Biao. I’d recommend the Dragon Dynasty DVD (where it’s titled Above the Law) over the Hong Kong blu-ray due it’s better subtitles and bonus features. It’s a solid action film – just fast-forward as soon as you see Wu Ma – and you’re set! This entry was posted on Saturday, September 21st, 2013 at 1:44 am and is filed under 1980s, corey yuen, cynthia rothrock, hong kong, no retreat no surrender, yuen biao. You can follow any responses to this entry through the RSS 2.0 feed. You can leave a response, or trackback from your own site. Great to see you posting again! I (along no doubt with many others) have a real soft spot for Righting Wrongs, I remember being blown away by it when it came out on VHS in the late 80’s. A recent viewing sees it hold up pretty well. I’m glad you dug it! Which copy did you watch? I found the new HK blu-ray to have really difficult to follow subtitles. It was the Fortune Star remastered dvd, I’m so familiar with the film I didn’t notice the subs too much. Fair enough. The blu ray text was all sorts of troubles, but obviously it’s still better than some older Hong Kong films where you were lucky if the film’s subtitles was on the screen at all.